At the start of my first semester at the University of Minnesota, I was told over and over how important it was to prioritize mental health. My Welcome Week leaders emphasized the value of consistent “mental health days” and “personal self-care.” After many repetitions of these reminders, their well-intentioned advice began to sound like the nagging words of an overbearing parent. I could not understand why they were so insistent on informing us about mental health resources. I figured if I had made it through four years of high school with no issues, four years of college would be a breeze. I came to realize how wrong my assumptions were during my first month of classes. It turned out that college was not the same as high school; it was significantly more difficult. The freedom of college life made it seem like I had more time in the day to sleep and do homework, but I lacked the time management skills required to get things done. As a result, I was constantly scrambling to finish assignments and remained chronically sleep deprived. My support system made up of friends, parents, and teachers was gone, and I didn’t know how to cope. It was in this moment that I recognized I needed help. Prioritizing mental health comes with many challenges. For me, the most significant step was being able to identify a problem. I spent high school juggling my academic, extracurricular, and social responsibilities very well. When I came to college and found that it was no longer easy to balance my various tasks, it was hard to accept. Recognizing that things are not going well is the first step to solving the problem. This is easier said than done, and can require hours or days of meaningful self-reflection. However, the resulting clarity is extremely valuable when moving forward. Another important step is to take charge of your personal well-being. Self-reflection is only valuable when accompanied by action. This doesn’t necessarily mean making drastic lifestyle changes that restructure every aspect of your behavior. Big changes are more difficult to incorporate into daily life, whereas small changes are easier to accomplish. The goal is to take small steps to avoid falling into old patterns and habits that negatively affect your mental state. A personal example of this is based on my sleep habits. I find it very difficult to fall asleep when I am excited or distracted by something. To combat this, I turn my notifications off when I get into bed. This tiny change has helped me get at least an extra thirty minutes of sleep per night, making me more awake and refreshed each morning. It can be very beneficial, though difficult, to sacrifice other aspects of life in favor of maintaining mental health. Life as a college student is extremely hectic, and it can be easy to say yes to too many tasks throughout the week. There is no shame in turning down an offer to hang out with friends if you feel your academic or professional obligations deserve more attention. Conversely, engaging in social activities can be a great way to relax at the end of a difficult week. The important thing to keep in mind is balance. Finding that balance can undoubtedly be a tedious task, but taking a few steps in the right direction can prevent you from becoming overwhelmed and help reduce stress levels. The stigma around mental health can create the false perception that those who struggle are weak or lazy. This is simply untrue. Everyone struggles at some point, and asking for help is not a sign of weakness or incompetence. If anything, it requires more strength to recognize your problems and seek solutions to fix them. Most importantly, keep things in perspective. Mental stability is extremely valuable, arguably essential, in our intense, fast-paced world. 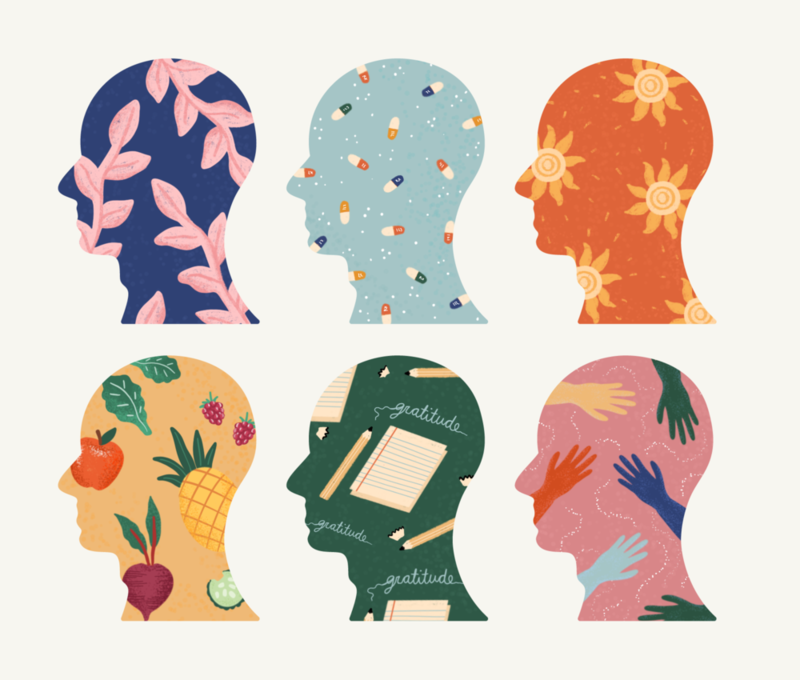 Setting aside time to take care of yourself and recognize personal struggles is not only vital to thriving in college but also a step towards a happier and more balanced day-to-day life.